A stunning architectural plant, valued for its dramatic form. They make fine, speciman plants for any cool glasshouse or conservatory, or outdoors in protected areas such as a mixed woodland garden or even a large patio pot. They grow in both partial shade or sun in humus-rich, acid soil. 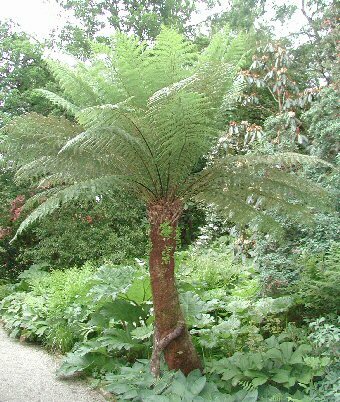 Tree ferns dont start to have trunks until 4/5 years old. A crown will show over the next year or two.